If you are a hospital customer, having your baby in one of the hospitals we serve, click the button below to download our product and pricing guide. If you have any questions, feel free to contact us. 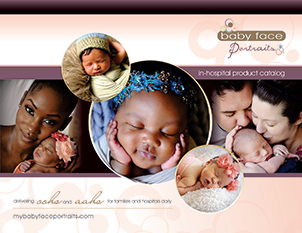 If you are a customer wanting to schedule a session outside one of our contracted hospital locations or In-Home, On-Location or at our studio and need pricing, please click the link below to download our product and pricing brochure. All portrait sessions have a required $50.00 session fee (for up to 6 people) at the time of booking. Want to save money? If you are a Baby Steps Plan Member you automatically receive 10% off the listed prices and do not incur the $50.00 session fee mentioned above. For more information about our Baby Step Plan, click here. Orders may be picked up at our office in Tampa, Florida at no charge or shipped directly to your home based on the fee schedule below. If you would like to pick up your order, please call us directly to place the order over the phone. 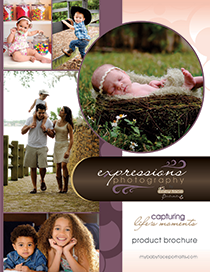 All items printed in-house (8x10 and smaller) are shipped within 2 business days. Canvas prints and Coffee Table books are custom print items and take up to 14 business days to print. If you ordered both in house print items and custom print items, all items will be shipped together. All orders ship via USPS Priority mail from our office in Tampa Florida. If shipping inside the state of Florida, usual mail time is 2 to 3 days. However, please allow up to 5 business days for delivery. We do not ship outside of the US.